This is an excellent Coat. The Leather is very soft and the fit for me is perfect. I get a lot of compliments on this Coat. 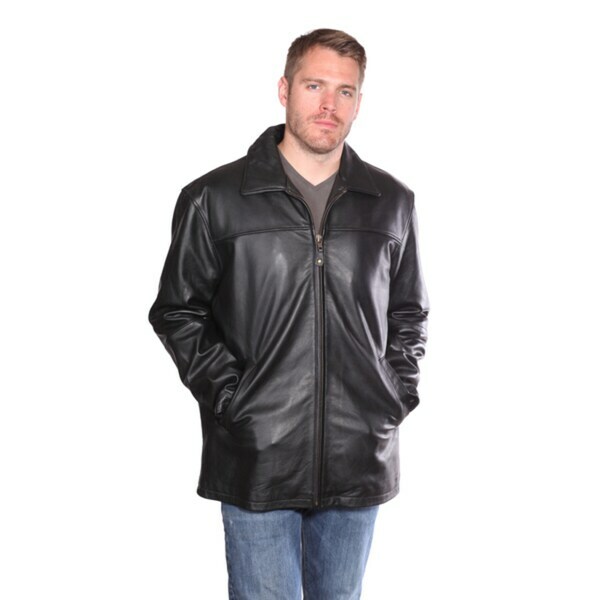 Crafted with soft lambskin leather, this handsome jacket showcases classic style and modern design. With ample interior and exterior pockets, this smart coat is finished with a zipper closure. The approximate length from the top center back to the hem is 32. The measurement was taken from a size Medium. This coat is wonderful. 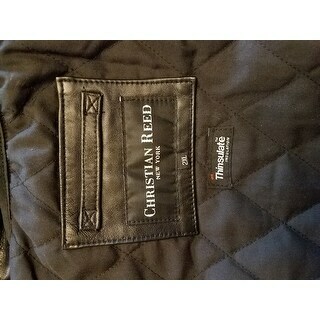 It is well made from soft, quality leather. No odd smells. Exactly the kind of leather coat I would expect to find at Carsons, Kohls, etc. Two down sides: this coat runs a bit small. I ordered a bigger size, in case I wanted to wear a bulky sweater underneath. Instead, it was just the right size. So others may want to order a size larger. Also, the zipper is a strong metal zipper. However, it does not zip smoothly. It takes a tug. I have tried to grease the zipper, and it is still a bit rough. Otherwise, the perfect coat. Ordered this coat for my husband. He was so excited to receive it, but when he shook the coat out from the packaging, it had a big tear in the sleeve! We had to return it and since that was the only one left in XL, we could not replace it. However, the coat was beautiful and just exactly what he wanted (of course). If you can get this in the appropriate size for you, I don't think you'll be disappointed. Bought this for my son. He usually wear an XL and that is what I ordered him. It fits great. The leather is very very soft and high quality. Ordering online your never quit sure what you will get and i didnt want a coat that was stiff and looked like plastic. but this is VERY nice. The pockets are great and the length is exactly what he wanted. Very happy with purchase ! I got this jacket for my husband and it fits perfectly. 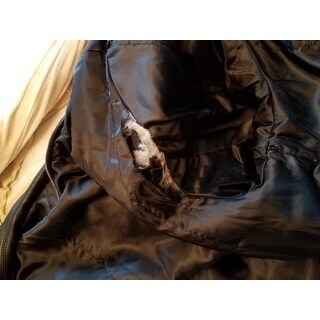 I had gotten a Michael Kors jacket from Macys first...hated it! It was too small,stiff, and the worst part was it smelled so bad we could not even keep it in the house! Soon, I went to Overstock and got this one (which was cheaper), it fit perfectly and had the nice (subtle) smell of leather, and it is very soft. Would definitely recommend! This coat is sooo soft and has that great smell of leather. The length is perfect. I went to many local stores and couldn't find this coat. Very pleased. I loved the coat when I received it. Stylish and seemed well made. Unfortunately, less than two months of wear the stitching at the shoulder of the sleeve has separated and the coat looks cheap and shabby. I will investigate returning this coat for a refund. The reviews said it ran a little small so I ordered up a size for my husband. It fit well by ordering up. It is a very nice coat and my husband loves it. This is a Christmas gift. Quality is good leather. Jus the right weight for Texas winters. Great value. Was * in the store.